Stuff White People Like recognized the white suburban Moleskine fetish. I’ve got a cultural bone to pick with Moleskine. 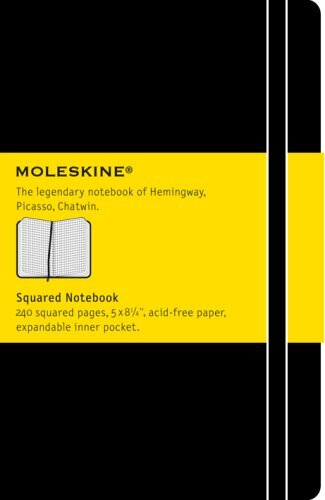 Most people who criticize Moleskine notebooks complain about the price– i.e., why pay $10 or $14 for a notebook when a less expensive one would do just fine? But I believe that good books deserve to be paid for, and a good notebook or journal can be worth far more than $14. Needless to say, it’s ironic that most people can’t articulate the mysterious quality that makes their journal so unique. I would expect notebook users to be better with words. Perhaps the word they’re looking for is “legendary” –but they would only have to look at the label to figure that out. However, my critique of the Moleskine has little to do with its price, or even the quality. 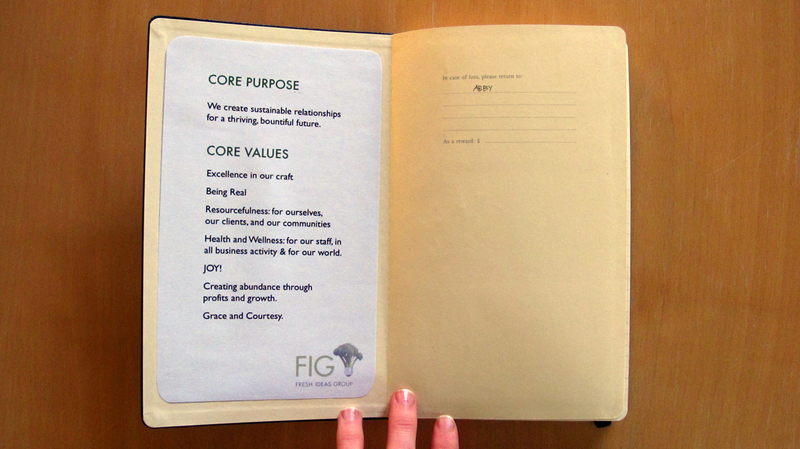 It has to do with the cultural space that Moleskine notebooks occupy, and what they represent. In fact, I think they’re a perfect metaphor for my generation’s passivity and hollow creative sensibilities. Look, I hate to break the news, but neither Hemingway nor Chatwin used this notebook. The company began in 1996, and is Italian, not French. But that actually isn’t new information; We-The-Consumers are totally aware of Moleskine’s marketing techniques, and yet we continue to purchase their product. In 2006, the company began to manufacture their notebooks in China, contributing to economic inequality and unhealthy environmental standards. Strike two? But instead of caring where our products come from, and what damage was caused along the way; instead of making a conscious decision to use a product from a more genuine or local source; we (i.e. the journalers) adamantly refuse to care. …and our defense is: “it has a certain something” ..? I would also argue that the Moleskine (like many other arts-related trends) has decreased artistic diversity. Don’t get me wrong, I enjoy visiting Moleskine forums, the flickr pools and blogs, but after a while I can’t help but notice that many of the posts began to look sort of similar. Even the subject matter of people’s journal entries began to replicate itself: sketches of girls with deer antlers, owls, paragraphs written in Napoleon Dynamite-esque bubble letters, …etc. Shouldn’t journals be an expression of your inner unique thoughts? I fully support an individual’s right to choose the supplies that make her or him most comfortable to write and create. And I won’t lie– I do love good a good fountain pen. Yeah, a blank page turns me on a little. But when I browse Moleskine forums, instead of being inspired by the array of artistic diversity, I come away feeling the desire to write and draw just like all the posts I just read. Basically, I want to copy them instead of trying something different. Honestly, I think my paper journaling vision is at its most unique when I give up the internet for a little while. Thus ends my critique, for the moment, because I’d rather discuss my personal alternative. After deciding that I would no longer use Moleskine notebooks, I began to make my own books. 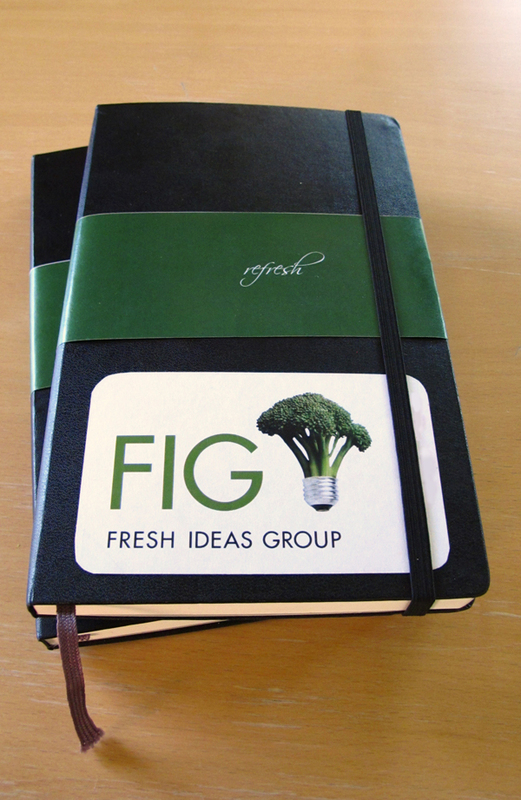 Which, compared to the social angst of the Moleskine world, felt like– Ahhh, yes! I love having complete control over the size of my journal, the binding, the type of paper, the cover. My design choices are infinite. People talk about the tactile quality of the Moleskine, but there’s nothing so tactile as choosing the perfect buttery paper, or stitching the binding together yourself. For Moleskine enthusiasts who have gotten to the point of developing “hacks” for their notebooks, I would highly recommend just developing the entire book themselves. It’s totally ridiculous to spend so much effort altering a Moleskine when it’s possible to construct the ideal notebook from the ground up (for less money, I might add). Binding my own books also means that I decide where my money goes, and what it supports. I have lovely conversations with the owners of quiet little paper shops, and I use my money to help preserve locally owned art supply stores. I can use recycled materials (an excuse to go dumpster diving!). Even at this early phase, I’m doing more than journaling; I’m discovering friendships, asking advice from book artists, being inspired. And that’s just the point– journaling is a process, not a one-time Barnes & Nobles purchase. A book is somehow more intimate when you remember when it was just a pile of paper and thread. It’s sort of like planting a garden. ..and then scribbling all over the flowers.